Customize the Default Journal Entry Type? Automatic journaling is certainly an appealing feature but what if a user wants to include journal entry like approvals for printing purposes that has been assigned on routine basis. Considering this, a user has to enter the journal manually. Moreover, journaling is not exclusion: it can also be customized. 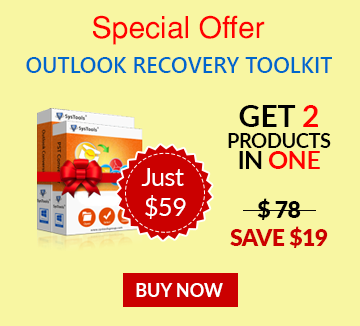 Users can assign categories for a wide variety of items in Outlook 2010. This would result in better organizing and sorting of items. In fact, journal items can also have a number of categories assigned to them. They can be categorized as entry type which helps in determining the function of the journal item. By allocating journals as entry types, one of the benefit users get is that they can easily locate the journal items. Let us, have a look on how the manual method of journaling works. 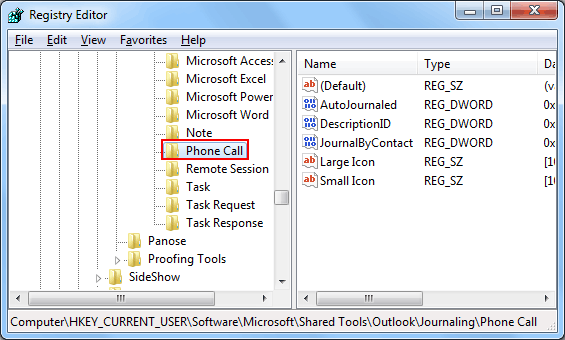 While creating a journal item manually, it is assumed by Outlook 2010 that the user is creating the journal entry for phone call and so it necessarily sets the entry type as phone call. 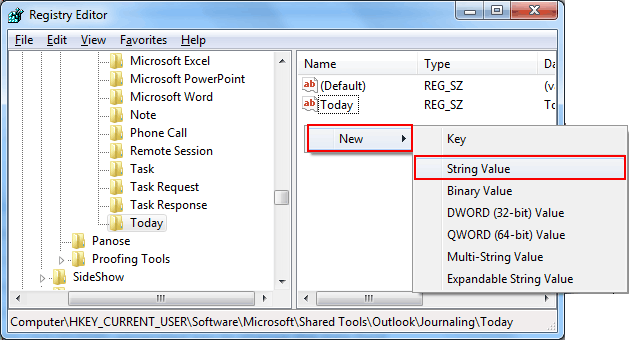 Nevertheless, Outlook provides a number of options for entry type that can be selected from the drop down list. The default entry type almost covers all the aspects but they don't bring in the adaptability for users. The sections which are generally covered by the default type entry are phone calls initiated; documents and faxes sent or received, and track of remote sessions participated. Outlook does not allow changing the default entry directly. It is automated to always start with Phone calls entry. It may be noted down that although new entry types cannot be created in the journal form but the user can edit the registry to include new types to the drop-down menu list. Reason being, the entry type list is present in the Registry section. In order to change the description of phone call entry in the Registry to some other customized entry value follow the steps below. NOTE: Be very careful while making any changes to the registry keys. You can make a backup of the settings before performing any of the below mentioned operations to be safe from any mishap. Any kind of fault that takes place with the registry keys can result in affecting the Operating System (settings/data). 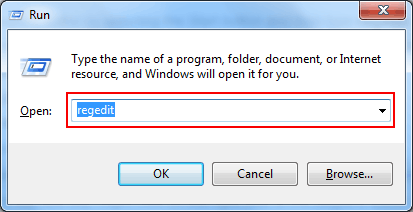 Open the Registry editor by selecting the Start button and then type regedit in the box given. Choose the DescriptionID and select Delete to remove it. Click to confirm in order to Delete the DescriptionID. Right-click on Journaling and choose New, Key. Type a name for your new key. Add values to the new key. Right-click on the right side of the Registry Editor and Select New, then String Value. Specify the Newly created value as Description. 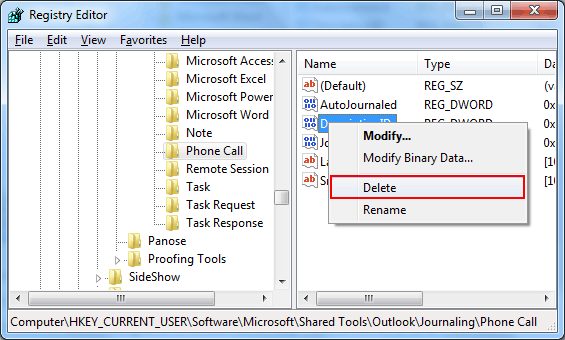 Double click on newly Generated key to change the data field. The above example describes the type of entry which the user creates manually. So, that there won't be any problem in understanding the significance of entry. Additionally, users also have the option to change the icon that is being used by changing the number. The lists of matching icons are given below. Caution: Users must always export the section of the Registry as part of backup procedure before working on it for editing the registry. 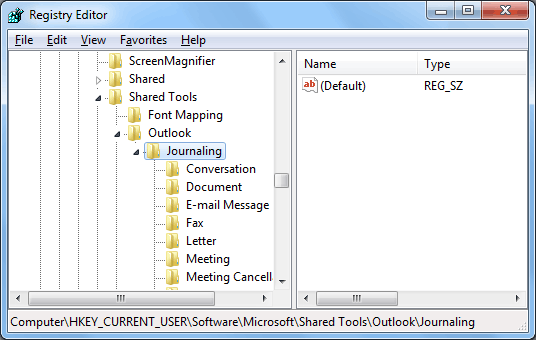 Conclusion: The journal in Outlook resembles a lot to a diary which presents a record of everyday activity. It maintains specific records like the records of emails sent and received, document worked and phone calls initiated on daily basis. While automatic journaling requires no manual effort but it certainly has a negative impact on the performance of applications running on the system. This may not be distinct to the users. However, in the long run user can notice a significant decrease in the performance of the system. A user cannot compromise on the performance drop. Hence, for such reasons, a user resorts to manual entry. 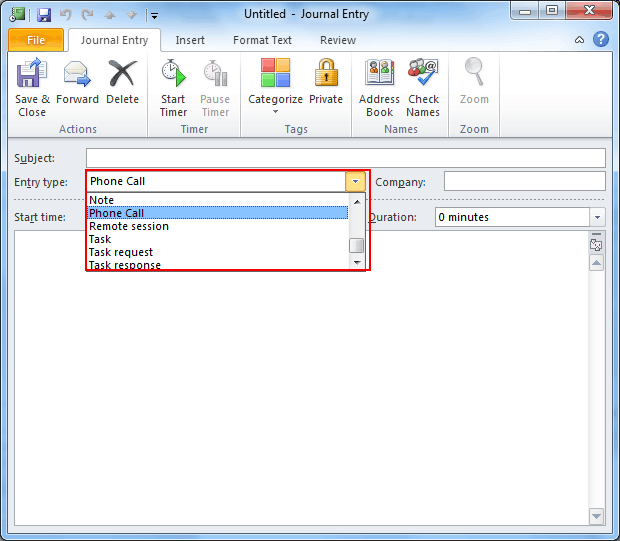 In addition, user gets the benefit to customize the journal entry even though the default entry comes as a phone calls entry.